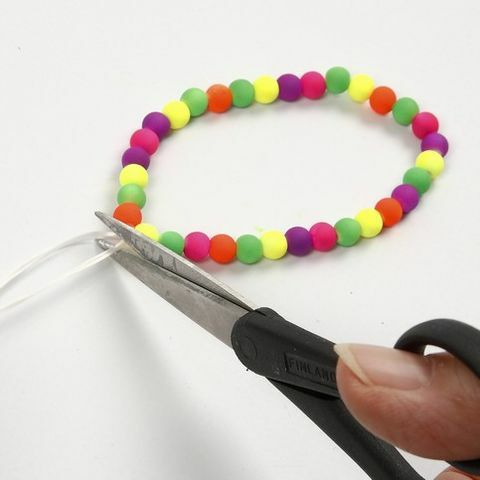 A bracelet with a fluorescent look. 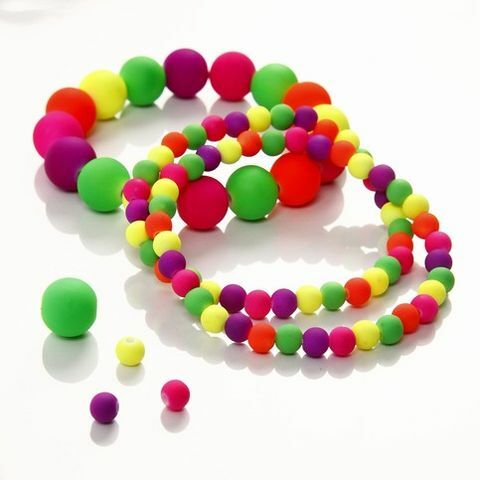 This simple bracelet is made from neon beads in different colours which are threaded onto a piece of elastic beading cord. Finish by tying a few reef knots. 1. 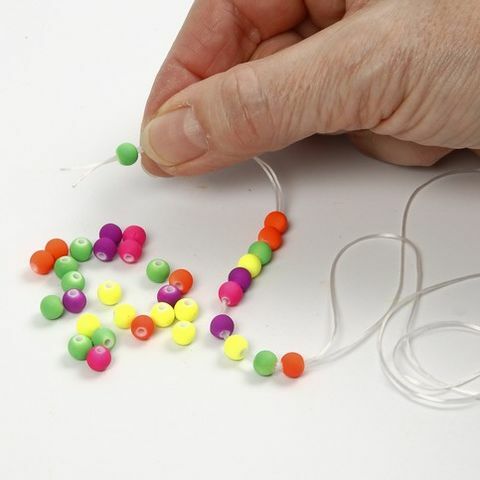 Thread neon beads onto a doubled over piece of flat elastic beading cord. 2. 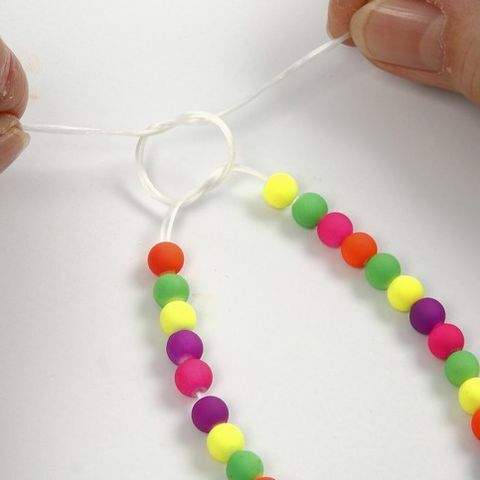 Finish the row of beads with four or five tight reef knots; i.e. alternately, starting with a knot with the cord at the top. 3. Cut off the ends of the cord as close to the reef knots as possible. Hide the ends inside the nearest bead.